GEORG has developed the new Horizontal Machining Center ultraturn MC for complete machining of workpieces with diameters of 1.100 up to 4.000 mm and almost any length. The center width of the system introduced during the customer day is 10.000 mm. The machine will soon be delivered to its German customer, two more Machining Centers have been ordered by companies in Russia and the Czech Republic. The ultraturn MC is designed for the machining of complex, heavy workpieces, e.g. for heavy forged parts, rolls, turbines, motor and generator shafts as well as for compressors or pumps for the oil and gas industry. Internal machining of components, such as turning-milling machining or processing of complex inside contours, which are not parallel to the workpiece center line is one of the main characteristics. The ultraturn MC saves a lot of production time since the complete machining, e.g. turning, drilling, milling or grinding and also the measuring is carried out on the same machine. There are no more time-consuming transports between different machines necessary so far as well as associated waiting and set-up times. By implementing different work steps on one machine, the ultraturn MC not only reduces the production time but also the transport risks of the complex and expensive workpieces. The result: significantly increased and ensured quality of the finished workpieces as well as optimized production planning and scheduling. Highest productivity with short downtimes and set-up times is the main focus of the new concept. All tool changing processes are carried out automatically, which is a novelty for machines of this size. 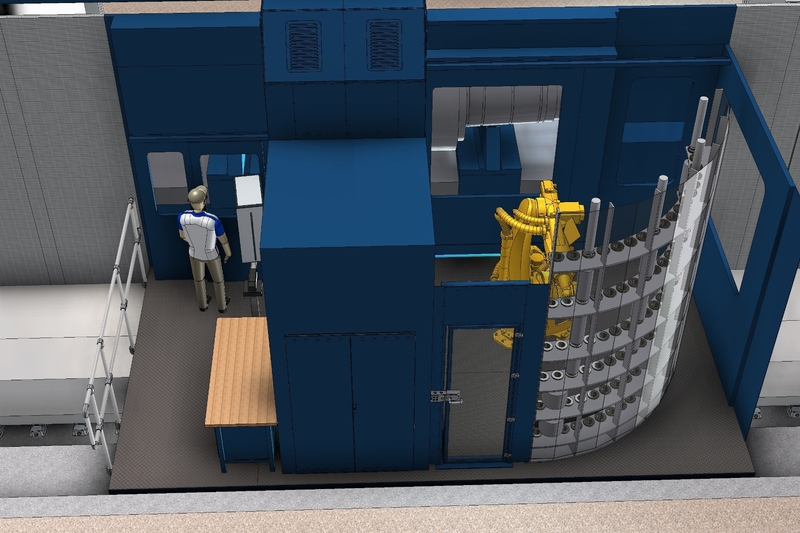 The tools are stored in the so called tool arena and changed via a six-axis robot which is moving together with the machining unit. This results in minimum access and processing times. Also, the attachment heads in the pick-up magazine are changed automatically and within shortest time. The machine achieves highest precision due to the 2.000 mm wide machine beds, the hydrostatic guideways of all linear axes and backlash-free NC-controlled drives. GEORG offers the ultraturn MC in several versions with center widths up to 25.000 mm. The machine presented during the customer day has a center width of 10.000 mm. 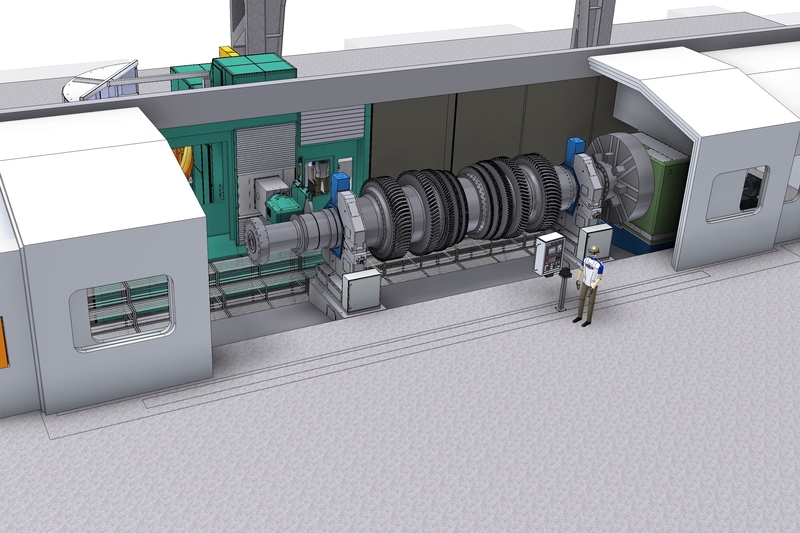 On the carriage side in S1-operation, the center achieves a milling performance of up to 94 kW and a torque of max. 7.000 Nm directly at the spindle. The carriage is equipped with a hydrostatic guided RAM with a cross section of 700 x 550 mm and a travel distance of 1.600 mm. With the ultraturn MC GEORG includes the quality control in the production process which is new in the area of large parts machining. The ultraturn MC is the first machining center worldwide, which is not only using a single probe. The moving 2-point workpiece measuring system installed at the milling tower acts like a big micrometer gauge with two probes and measures the workpieces directly at the machine with highest precision. 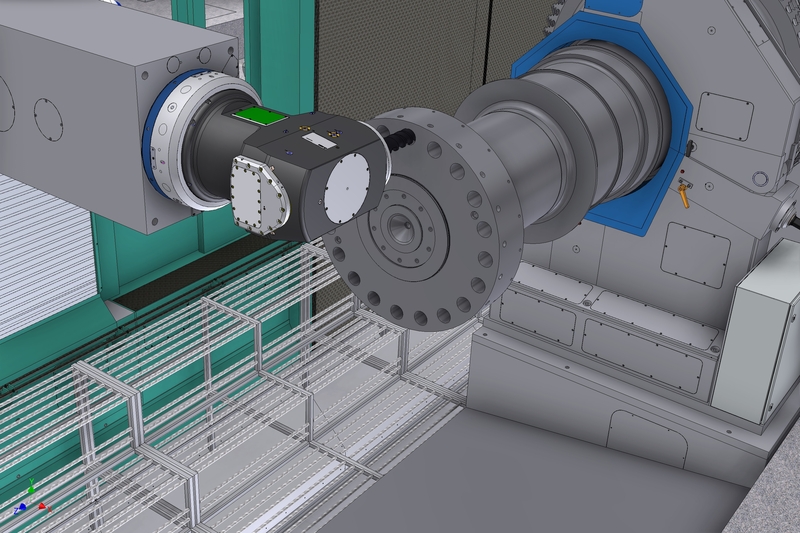 While the measuring of large diameters up to 2.000 mm in measuring machines takes several hours, the integrated GEORG system requires only a few minutes. 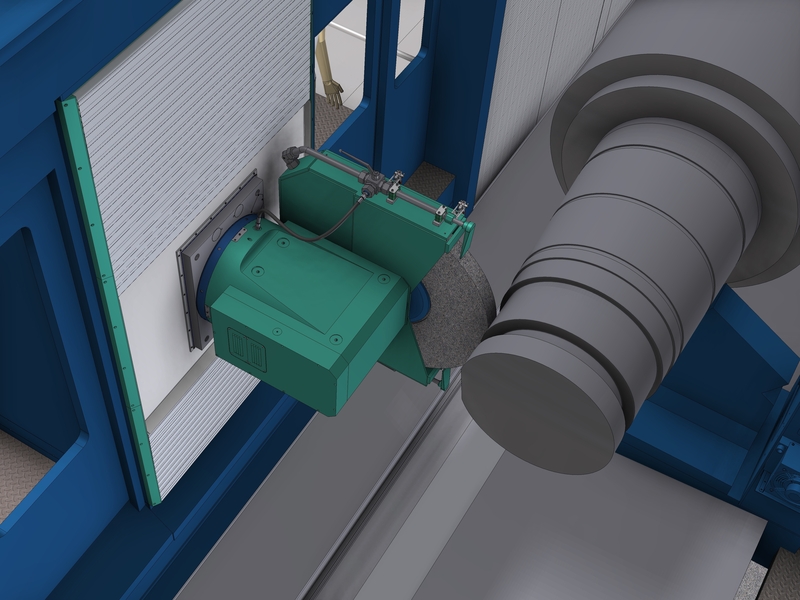 Also the complete machine enclosure with integrated oil mist removal system is new for exceptionally big machining centers: Nearly no oil mist will exhaust into the shop. Furthermore, the ultraturn MC requires very little space because the enclosure covers the workpiece and the machine itself very tight. The complete machine is mounted deep in the ground so that all components are accessible without steps.